Mesh Back Sports Bra: Aeropostale. Nike Flex Run Shoes: Footlocker. First off, I wanna give you all a GIANT VIRTUAL HUG! 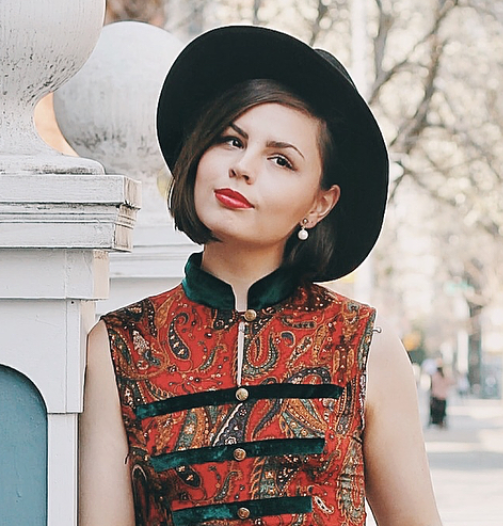 Thank you for the support on my last post about my break up + moving to NYC. You guys constantly amaze me of the kindness you endlessly pour out to me. I appreciate every comment, email, message, tweet, and prayer you sent my way. Thank you times a million. I've been kind of nervous to post these, but it's been something I've been wanting to do for a while (so why not just do it?). A work out outfit of the day! I got some new work out clothes a few weeks back from Aeropostale when I was home, and nothing makes me feel happier or more motivated than new, colorful, cute clothes to work out in. You can show your style off and be fashion forward even when going to the gym; without having to sacrifice your mobility or a budget. 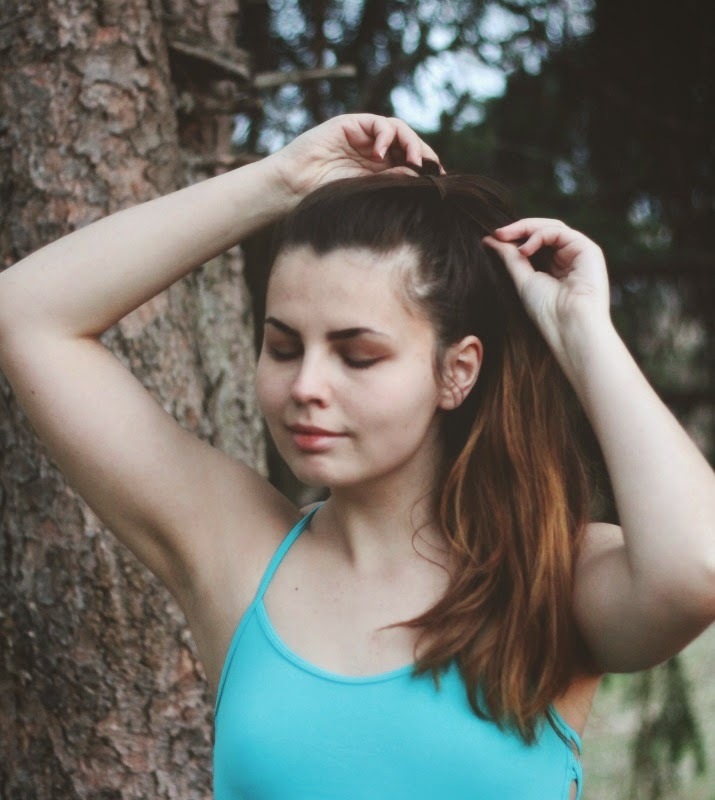 For me, I HATE being sticky hot when I work out, so usually I will wear a sportsbra. That way, I don't have that icky feeling of my t-shirt sticking to my back and neck after I'm all done. It does make me a little subconscious to wear just a bra to work out, so I will usually pair it with longer work out pants that cover all of my legs and rise above to cover my stomach. 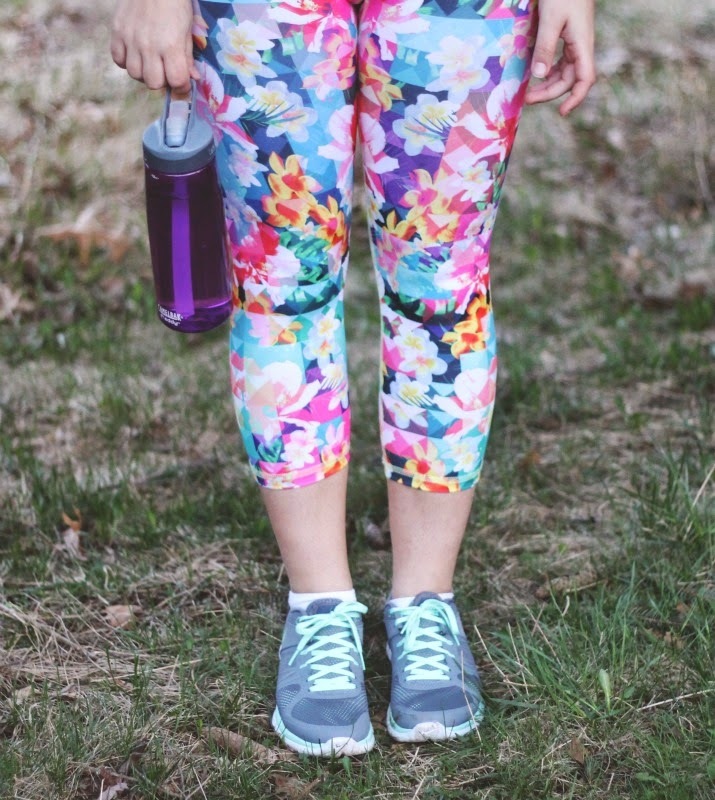 These digital floral print leggings give me life. So fun and colorful and I sometimes even like to wear them while running errands around town on lazy days, too. Plus, if you're not as confident with your upper leg region like me, these are a great alternative to short shorts. I hadn't gotten tennis shoes in seven years since I ran track in the 7th grade, so it was definitely time for an upgrade! I just went with these super light weight nike flex runs in a neutral color with a little pop of mint. I've really enjoyed running in these and find them super comfortable. This is just a standard of what I usually wear to work out. I've been having fun diving into the world of fitness wear, and it's fun for me to experiment. I was nervous about posting these photos because they're more revealing than what I usually wear and fairly body conscious. I'm not meaning to show off my body in any way-- just when I work out I like to wear less clothing and tighter fitting things so that I can focus more on my workout versus what my clothing is doing. Wow! Your new workout clothes are simply awesome. 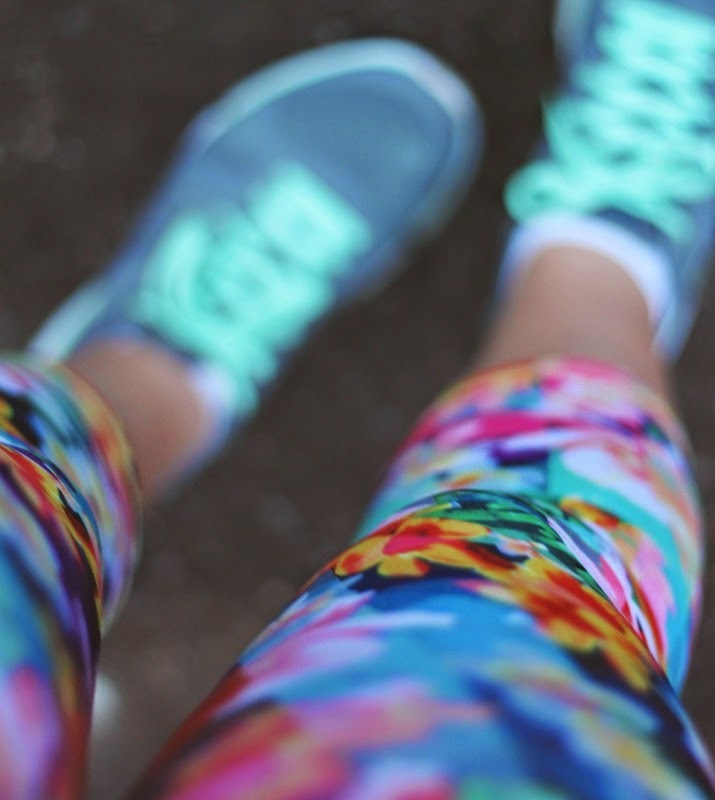 Going to buy similar trendy and colorful workout tights for my Zumba classes as my old ones needs to be replaced. Looking for discounted holiday deals online.